The Cisco Aironet 1400 Series Wireless Bridge creates a new benchmark for wireless bridging by providing a high-performance and feature-rich solution for connecting multiple LANs in a metropolitan area. Building a metropolitan area wireless infrastructure with the Cisco Aironet 1400 Series Wireless Bridge provides deployment personnel with a flexible, easy-to-use solution that meets the security requirements of wide area networking professionals. Designed to be a cost-effective alternative to leased lines, it is engineered specifically for harsh outdoor environments. 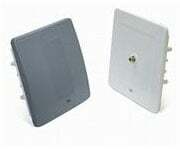 The Cisco AIR-BR1410A-A-K9 is also known as CSC-AIRBR1410AAK9	or AIRBR1410AAK9	.